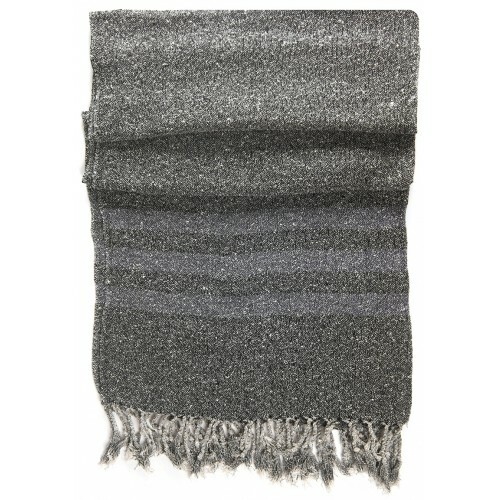 %100 raw silk Grey Kirmen Silk Wrap with Blue Stripe, hand loomed with tied fringe at both ends, in Hatay, Turkey by a third generation family of weavers. The silk is harvested on the family farm, silk cocoon is boiled for three hours in water with soap and ash. 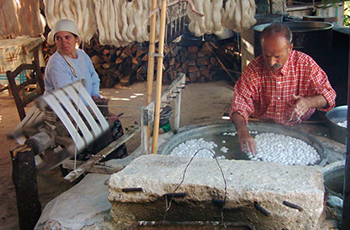 The silk spinning is done by spindle called ‘Kirmen’. Pre washed. Hand wash with mild detergent in cool water. Line dry. 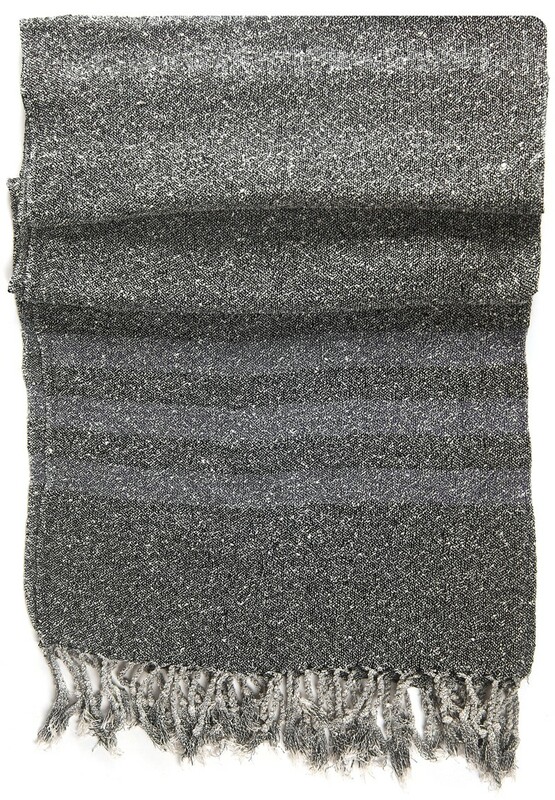 Warm iron or steam iron as necessary.